GATLINBURG, Tenn. (PRWEB) – According to on-premise traffic counters, Ole Smoky’s three East Tennessee distilleries welcomed 4.1 million visitors in 2018. The Ole Smoky Moonshine Holler in Gatlinburg welcomed over 2 million visitors; Gatlinburg’s Ole Smoky Whiskey Barrelhouse welcomed over 900,000; and the company’s Pigeon Forge distillery, The Barn, welcomed 1.1 million. By comparison, Ole Smoky entertains more than twice as many guests as all of Scotland’s distilleries combined. According to publicly available data, Scotland’s 74 whiskey distilleries saw 1.9 million attendees in 2017. Ole Smoky’s 4.1 million visitors is also more than three times the 1.2 million people who visit the Kentucky Bourbon Trail’s 10 distilleries each year. Each Ole Smoky distillery location includes working stills and fermentation tanks and an expansive visitor experience, including self-guided tours, tastings, live music, and large retail shops featuring Ole Smoky moonshine, whiskey, apparel, accessories and food. Named the largest craft distiller in the U.S. by the IWSR, Ole Smoky Moonshine is also the No. 1 selling moonshine brand in the world and Nielsen indicates that Ole Smoky’s market share is over twice that of its nearest competitor. Ole Smoky is the leading distiller of premium moonshine in the world and the first federally licensed distillery in the history of East Tennessee. Founded in 2010, Ole Smoky’s roots can be traced to the Smoky Mountains’ earliest settlers, families who produced moonshine with enduring pride and Appalachian spirit. In 2009, Tennessee laws changed, and suddenly, it was legal to make, distill and sell the infamous and illicit moonshine the region had become known for — and Ole Smoky was born, with products crafted from a century-old recipe. In 2016, Ole Smoky debuted its line of premium whiskeys, many of which have been launched nationally. Today, Ole Smoky retails globally and offers more than 25 creative moonshine flavors and 17 inventive whiskey flavors. Ole Smoky can be found at the company’s distilleries, online, in grocery and liquor stores nationwide, as well as in on-premise establishments, including some of the biggest music and sporting venues in the country. The Ole Smoky product line also includes a wide array of branded apparel, gifts, accessories, plus whiskey- and moonshine-flavored food items, including barbecue sauces, hot sauces and dips. Ole Smoky distilleries are the most visited in the world. Each year, more than four million people visit Ole Smoky’s three famed East Tennessee distilleries: The Holler, The Barrelhouse and The Barn. In 2019, Ole Smoky will open a fourth location in Nashville. For more information, please visit http://www.olesmoky.com and follow Ole Smoky on social media @olesmoky. ©2019 Ole Smoky Distillery, LLC. All Rights Reserved. OLE SMOKY, OLE SMOKY TENNESSEE MOONSHINE, OLE SMOKY WHISKEY, and SHINE RESPONSIBLY are registered trademarks of Ole Smoky Distillery, LLC. LAS VEGAS (PRWEB) – The Mob Museum, The National Museum of Organized Crime and Law Enforcement, today announces the opening of The Underground, its new Prohibition history exhibition featuring a working distillery and speakeasy. Zappos.com serves as The Underground’s signature sponsor. The Mob Museum is located in downtown Las Vegas, Nevada. Entirely re-envisioning the typical museum exhibition experience, The Underground takes visitors on an uncommonly vivid journey back in time: Situated discreetly in the basement of the Museum, The Underground encompasses 2,814 square feet appointed with luxurious, Art Deco design motifs. Guests of The Underground are encouraged to ponder the time when consuming alcohol was not only a criminal act, but also bred secret watering holes–some of which became the most glamorous places to be. The Museum’s project team for The Underground included LG Architects, design firm Gallagher and Associates, historic consultant Robert Chattel of Chattel, Inc., custom fabricator CREO Industrial Arts, the City of Las Vegas and Core Construction. Numerous exhibits and artifacts found in the distillery and speakeasy add depth and context to the experience. Exhibits and artifacts on display bring to life the essence of a time that saw organized crime syndicates grow richer and more powerful than ever before, while giving rise to great cultural and societal change. Five-gallon whiskey still, an example of one of the smaller home stills used to make alcohol during Prohibition. Valise with hidden flasks produced by Abercrombie & Fitch, with a brass stud on its base that, when swiveled, reveals a tiny keyhole. Once unlocked, the false bottom opens to reveal three silver flasks. One-gallon “alky cooker” like those used by impoverished families employed by Chicago’s Genna brothers to make small batches of liquor in their homes. Grape brick sign, which advertised the blocks of grape concentrate sold in grocery stores. These blocks could be combined with water to make grape juice. Of course, yeast could be added, the mixture poured into a bottle, the bottle corked and, three weeks later—voila!—home-made wine. Budweiser frozen eggs, which along with more than 25 other non-alcoholic products, carried Anheuser Busch’s most popular brand name during Prohibition. Other products included soft drinks, malt extract, corn syrup and truck bodies. The frozen eggs were sold in 30-pound canisters and stabilized with sugar and salt. Beaded chiffon dress, circa 1926, which provides an example of the new and bolder fashions that became popular during the Prohibition era due to the rise of flapper culture. A unique aquarium exhibit, produced in conjunction with The Animal Planet series “Tanked,” tells the story of the 1922 sinking of the Lizzie D, a tug boat believed to have moonlighted as a rum runner, off the coast of Fire Island, New York. The 440-gallon tank memorializes the discovery of the sunken vessel in 1977, which was indeed found to be carrying crates containing hundreds of bottles of Kentucky bourbon, Scotch whisky and Canadian rye whisky. Master Distiller in Residence George Racz, oversees the initial production of corn-mash moonshine in The Underground’s 60-gallon, custom-made copper-pot still. Capable of producing 250 750 ml jars of moonshine per week, the gleaming still forms the focal point of the distillery. 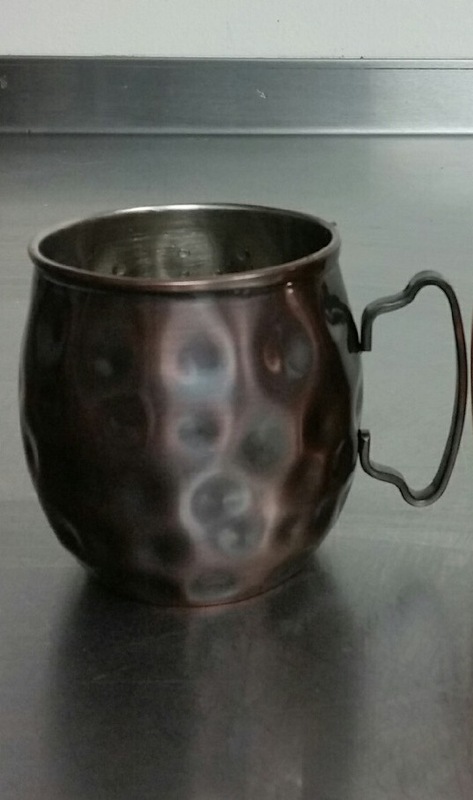 In the speakeasy, The Underground’s moonshine provides the centerpiece of the cocktail collection, while a full bar is also available. 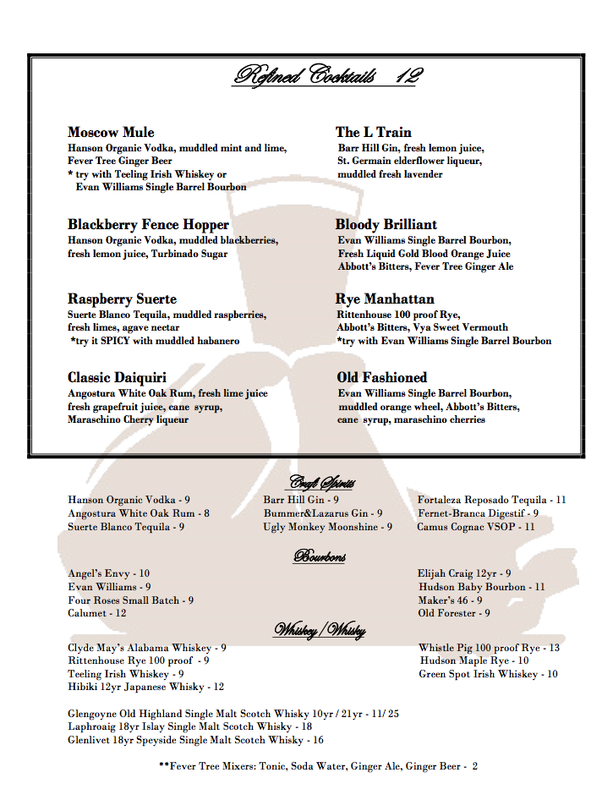 The speakeasy cocktail menu includes typical Prohibition cocktails such as Bee’s Knees, Underground Old Fashioned, Ginger Jake and Giggle Water. A variety of coffee cocktails, draft beer, bottled beer, wines by the glass and non-alcoholic cocktails are also available. Finally, for private groups and intimate events, a VIP hideaway called “The Fitting Room,” concealed by a secret entrance off the speakeasy, can accommodate up to 12 guests. Entrance to The Underground at The Mob Museum is free with general Museum admission until 5 p.m.; guests who wish to visit just The Underground after 5 p.m. may enter via its exterior side entrance free of charge until closing. The new hours of the Museum, including The Underground, are 9 a.m. to 10 p.m., Sunday through Wednesday, and 9 a.m. until midnight, Thursday through Saturday. For even more information about Prohibition, visit the Museum’s online exhibit at prohibitionhistory.org. Photos are available for download here. The Mob Museum, the National Museum of Organized Crime and Law Enforcement, a 501(c)(3) non-profit organization, provides a world-class, interactive journey through true stories—from the birth of the Mob to today’s headlines. The Mob Museum offers a provocative, contemporary look at these topics through hundreds of artifacts and immersive storylines. Whether you like it or not, this is American history. It debuted a major renovation in 2018, including a Crime Lab, Use of Force Training Experience, and Organized Crime Today exhibit as well as The Underground, a basement-level Prohibition history exhibition featuring a working speakeasy and distillery and sponsored by Zappos. Since opening in 2012, The Mob Museum has accumulated numerous accolades, including being named one of TripAdvisor’s “Top 25 U.S. Museums,” one of Las Vegas Weekly’s “Twenty Greatest Attractions in Las Vegas History,” one of Hotel.com’s Top 7 “Travel Brag Landmarks,” one of USA Today’s “12 Can’t Miss U.S. Museum Exhibits,” “A Must for Travelers” by The New York Times, one of “20 Places Every American Should See” by Fox News and Budget Travel magazine, “Best Museum” by Nevada Magazine and is a multi-year winner of the Las Vegas Review-Journal’s “Best of Las Vegas” rankings. The Mob Museum has been awarded accreditation by the American Alliance of Museums, the highest national recognition afforded U.S. museums. General admission is $26.95 for adults ages 18 and over with special pricing for online purchase, children, seniors, military, law enforcement, Nevada residents, and teachers. The Museum is open daily; visit the website for up-to-date operating hours. 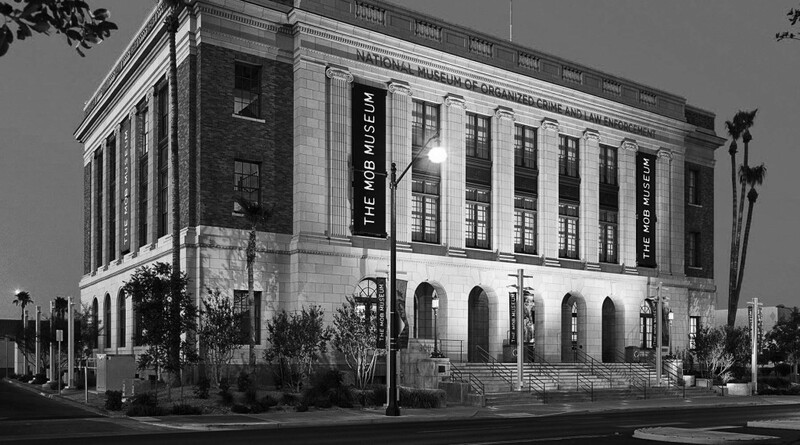 For more information, call (702) 229-2734 or visit https://themobmuseum.org. Connect on Facebook at facebook.com/themobmuseum or Twitter @themobmuseum. Bartender Peter Nguyen (Watch this 90-second YouTube slide show to see him in action.) 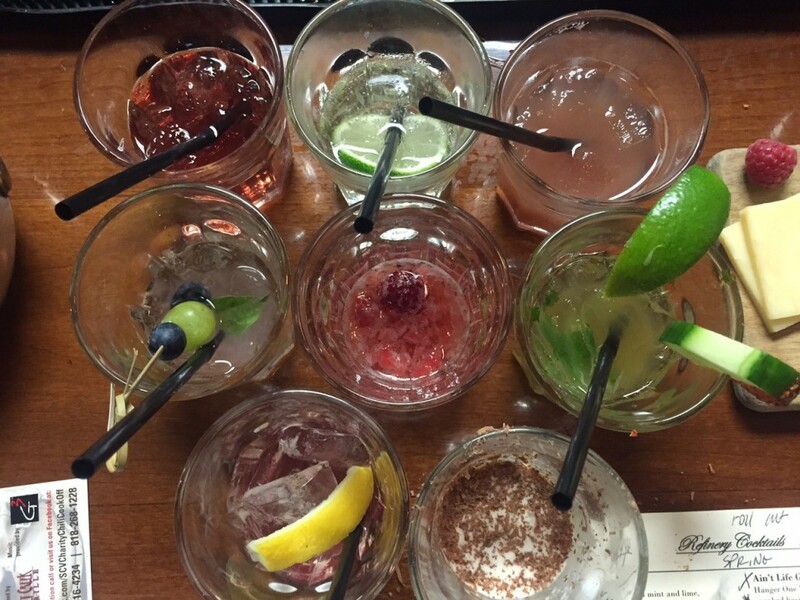 used his expertise to make samples of several of the new cocktail menu items, utilizing every item in the list above. He “spanked” some basil to bring out its flavor, created an Aperitif that would tickle anyone’s appetite, shaved chocolate over the finale…and then some. *Can you say innovative? Adding a little fruit leather to this lovely fruit-filled libation was interesting and fun. Appealing to the child in us all, especially with the flavors of Jolly Rancher Strawberry hard candy that I got. Reminded me of a Mai Tai with a twist. *One of my favorites of the night, this is not your average G & T. The aloe vera gave it a distinctly different and wholly appealing flavor. Peter called it “a spring G & T option” and I enjoyed it for its sweetness and crispy bite. *Loved the used of green grapes, so refreshing. Subtler and less sweet for those that don’t want a sweet cocktail. This was another I would order again. *This was the group’s favorite of the night. And Peter said they were probably going to serve it with a side of sliced cucumber and a dish of chile powder. Like a better Maggie from your fave Mexican restaurant, this one had just the right juxtaposition of fresh appeal and spice. *Dessert plain and simple – but not really. Peter called it “adult chocolate milk” and all I could think of was Kahlua and milk taken up a giant notch. For the person that doesn’t have room for dessert, but can’t resist it anyway, order this. *Reminded me of a Bellini, but fresher and with the kick of juniper-cucumber –rose petal infused Hendricks Gin. *We started with this little treat. And it did the job as, again the juxtaposition of heat (the chile liqueur) and sugar (cassis) tickled my taste buds into submission. I wanted this after dinner too. The flavors from the chile liqueur were very reminiscent of tamarind candy, and quite remarkable. 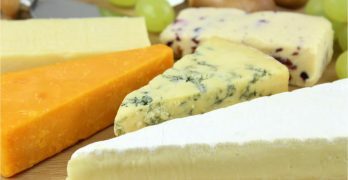 *These I did sample, the last two require a little bit of water in my opinion to open up the flavors and reduce any harshness (often done) however, the Teelings did not. All excellent and definitely on my list when I can’t dare choose between the three. If you haven’t had these it’s a must. FRANKFORT, Ky. – The Kentucky Distillers’ Association today announced that Kentucky Peerless Distilling Co. in Louisville and Hartfield & Co. Distillery in Paris are the two newest members of the Kentucky Bourbon Trail Craft Tour®. A total of 10 micro distilleries now comprise the tourism adventure that was founded in 2012 to complement the KDA’s world-famous Kentucky Bourbon Trail® experience. Nearly 100,000 people visited a participating craft tour distillery last year. Corky Taylor and his son, Carson, have revived the Kentucky Peerless brand that their ancestor, Henry Kraver of Henderson County, made famous in the 1880s. The new state-of-the-art distillery opened in June and is located at 120 North 10th Street in downtown Louisville. Kentucky Peerless is producing Bourbon, rye and a new “Lucky” moonshine. Tours are conducted Wednesday through Saturday from 10 a.m. to 4 p.m. For more information, visit www.kentuckypeerless.com. Andrew Buchanan and his wife, Larissa, became the first licensed distiller in Bourbon County since 1919 when they opened The Gentleman Distillery last year. They recently changed the name to Hartfield & Co. to reflect their family’s distilling heritage in Green County in the 1800s. The distillery, located at 718 Main Street in Paris, specializes in whiskies and rums. Tours are available Tuesday through Saturday from 10 a.m. to 6 p.m. Visit www.hartfieldandcompany.com for more information. Other participating craft tour distilleries are Barrel House in Lexington; Corsair Artisan, Bowling Green; Limestone Branch, Lebanon; MB Roland, Pembroke; New Riff, Newport; Old Pogue, Maysville; Wilderness Trail, Danville; and Willett Distillery, Bardstown. The KDA created the original Kentucky Bourbon Trail® tour in 1999 to give visitors an educational and first-hand experience behind crafting the world’s finest Bourbon. It has shattered attendance records every year, with more than 625,000 visits in 2014 alone. Its nine featured distilleries include Bulleit and Evan Williams, Louisville; Four Roses and Wild Turkey in Lawrenceburg; Heaven Hill in Bardstown; Jim Beam, Clermont; Maker’s Mark, Loretto; Town Branch, Lexington; and Woodford Reserve in Versailles. Go to www.kybourbontrail.com for more information on all tours. Kentucky Bourbon is one of the Commonwealth’s most historic and treasured industries, a thriving $3 billion economic engine that generates more than 15,400 jobs with an annual payroll topping $700 million and pours $166 million into state and local coffers each year. The KDA’s 27 members – the most since the Repeal of Prohibition – are in the midst of a $1.3 billion building boom to satisfy global demand and keep pace with its burgeoning tourism trade. There are currently 5.7 million barrels of Bourbon aging in the Bluegrass – a 40-year high. Gov. Steve Beshear and the KDA have called upon legislators to modernize the state’s archaic Bourbon tourism laws. Kentucky produces 95 percent of the world’s Bourbon, but currently ranks 8th in the number of operating distilleries in the country. The KDA is a non-profit trade association founded in 1880 to promote, protect and elevate Kentucky’s signature Bourbon and distilled spirits industry. Heritage members include Beam Suntory (Jim Beam and Maker’s Mark), Brown-Forman Corp., Diageo North America, Four Roses Distillery, Heaven Hill Brands and Wild Turkey Distillery. Proof members include Michter’s Distillery. Distillery, Dueling Grounds Distillery, Hartfield & Co. Distillery, Kentucky Artisan Distillery, Kentucky Peerless Distilling Co., Limestone Branch Distillery, MB Roland Distillery, New Riff Distillery, The Old Pogue Distillery, Second Sight Spirits, Three Boys Farm Distillery, Wilderness Trail Distillery and Willett Distillery. The Distilled Spirits Epicenter is the KDA’s official educational distillery. Member benefits include media relations, international trade development, private sampling events, technical assistance, economic development support, networking, legal defense, marketing strategies, governmental and regulatory advocacy and innovative tourism experiences through the KDA’s Kentucky Bourbon Trail® and Kentucky Bourbon Trail Craft Tour® adventures. The KDA maintains an open membership policy, champions a strong commitment to the responsible and moderate consumption of spirits, and fights to curb underage drinking and drunk driving. For more information about joining the KDA’s distilling family, contact KDA President Eric Gregory at (502) 875-9351. 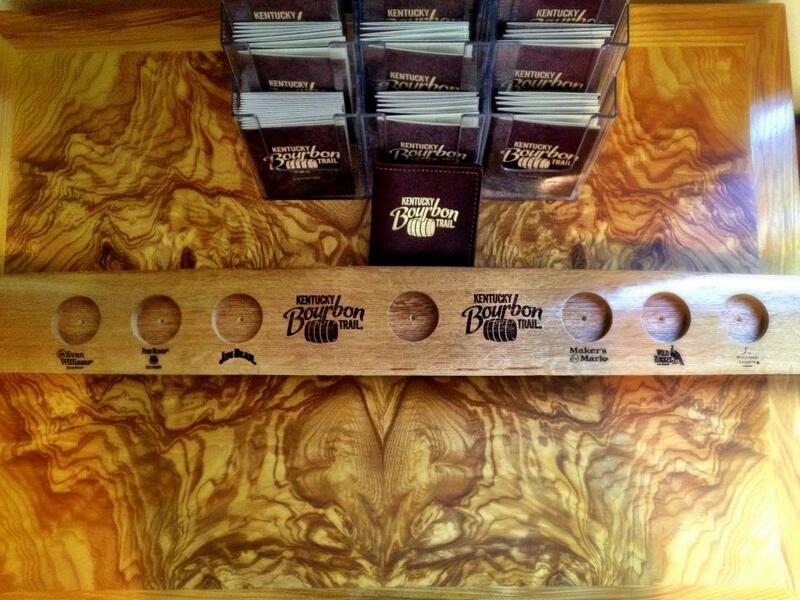 Visit www.kybourbon.com and www.kybourbontrail.com to learn more. AFFAIR™ and BOURBON TRAIL™ are trademarks/service marks of the Kentucky Distillers’ Association. Please drink responsibly. Get In The Spirit This Halloween With Spook-tacular Sips & Boo-zy Treats! From several LA-based bars and restauurants! FIN – Dark & Stormy, photo courtesy FIN. Dare to sip the Witch’s Brew! This vibrant red potion concocted by Bar Manager Ken Whang is a mouthwatering mixture of Absolut Peach Vodka, Svedka Citron Vodka, OR-G Liqueur and a dry ice finish that is sure to put a spell on you this Halloween. A terrifyingly tasty Tiki libation, the Rudi’s Downfall is an icy frozen treat blended with Flor de Caña 4 yr and 7 yr Rum, honey syrup, fresh pineapple juice and lime juice served in a scary-faced tiki mug. 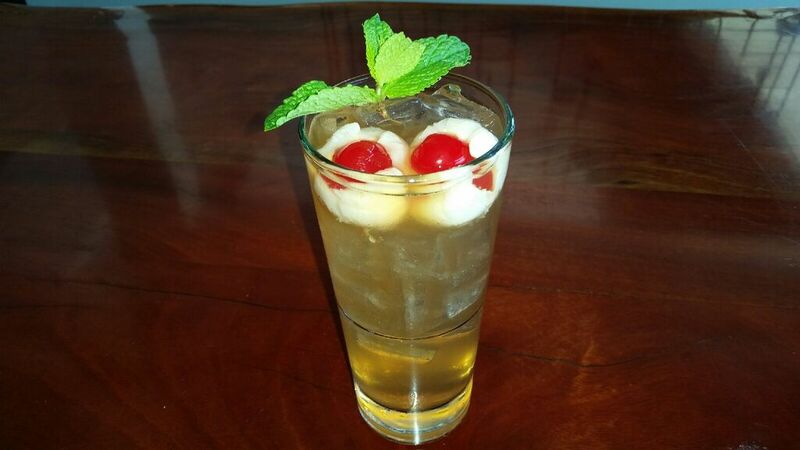 A fitting libation for a frightful Halloween evening, try the Dark & Stormy cocktail shaken up with dark rum, lime juice, lychee juice and ginger beer poured over ice and garnished with floating lychee nuts stuffed with bright red cherries that resemble a pair of eerie eyeballs. This Halloween, avoid the tricks and indulge in boo-zy treats! Sip on the Spiced Chocolate Chip ‘N’ Fig Bear Republic Stout Float crafted with velvety spiced chocolate chip and fig frozen custard and Bear Republic Black Stout served in a glass goblet with a spoon-straw to savor sips and spoonfuls of this tasty indulgence. Available and prepared in celebration of HACHÉ LA’s one-year anniversary! 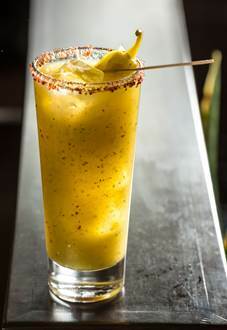 Built from “all things basic,” the La Básica cocktail is anything but basic. Crafted with El Silencio Mezcal, chocolate, coffee, vanilla ice cream and a dash of pumpkin spice, this creamy cocktail is a brilliantly balanced beverage you are bound to enjoy this Hallow’s Eve. Make it a movie night this Halloween season and head to the iconic rooftop of The Montalbãn in Hollywood for a scary screening of the cult classic The Thing (Tuesday, October 27th). Pair the eerie evening with The Thing on the Rocks cocktail mixed up with Modern Times Stout and sparkling wine created by onsite guest Barman Brady Weise. Suppress those screams while watching Alfred Hitchcock’s thriller Psycho on Thursday, October 29th with the Bates Cough Syrup mixed up with Hefeweizen beer and fresh blueberry syrup. Take in Friday the 13th at Rooftop Film Club during Halloween Week (Tuesday, October 27th through Saturday, October 31st) and sip on The Hockey Mask (Friday, October 31st, 2015). This sinful sipper is a mixture of Chenin Blanc, lemonade, dry vermouth and fresh seasonal fruit. Rooftop Film Club will be hosting Halloween Week on the rooftop of The Montalbãn from Tuesday, October 27th to Saturday, October 31st; 1615 Vine Street, Hollywood, CA 90028. For more information or to book tickets directly, please visit www.la.rooftopfilmclub.com. Crafted with applejack, house-made pumpkin syrup, allspice dram, cinnamon, fresh lemon juice and garnished with spookily sensational cobweb candy, the Hob Goblet is a devilishly delicious cocktail to sip on this Halloween. A ghoulish gulper from Bar Manager A.J. Korchak, the Danse Macabre cocktail is a crafty sipper composed of Laird’s Apple Brandy, Ballast Point Devil’s Share Moonshine, Giffard Apricot Brandy, honey and aged pumpkin bitters dusted with freshly grated nutmeg and cinnamon, topped off with an orange peel and cinnamon stick garnish. A spellbinding sipper that is enchanting in color and flavor, the Polyjuice Potion from Bar Manager Victoria “Ninja” Ortiz is shaken up with absinthe, gin, Crème de Violette, lemon and pineapple syrup, served in a coupe with a lemon peel garnish. A murderous masterpiece that is perfect for pairing with a balmy beachside on Halloween weekend, the Tequila Mockingbird cocktail from Bar Director Anthony Settecase is handcrafted with Sauza Hornitos Black Barrel Tequila, agave, blood orange bitters and grapefruit. Newhall Refinery Brings Craft Cocktails to SCV in a Big Way – Starting March 31! Overdue. 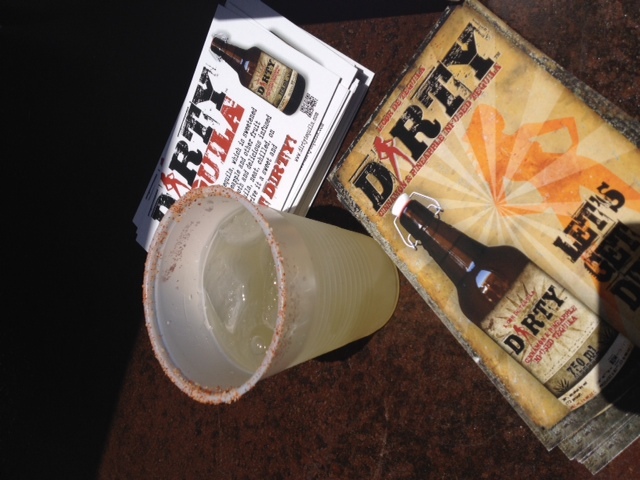 That’s what we are here in SCV, overdue for the craft cocktail invasion. Mixers, Roman Holiday and SAKE all had some great versions of old cocktails revived with top shelf spirits combined with muddled fruit and spices, fresh fruit purees, garnish, the correct glassware and captivating presentations. But with all of them now closed I longed for a craft cocktail bar to open – and then I learned that Newhall Refinery, an already popular spot in downtown Newhall that recently expanded, had obtained a spirits license with the intention of creating a craft cocktail menu…and a whisky list as well! I quickly emailed the owners, Shannon and Simon Mee, for more information. 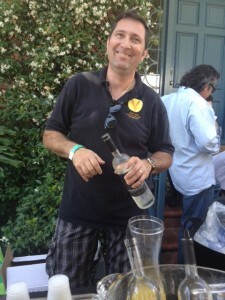 One of the first wine fests I attended as press was the LA Wine Fest. Founder Joel Fisher was very kind in extending passes and personally welcoming us at the event. Since then I’ve covered the 500+ winery/brew/spirit event in photos, as my hands are always too full with a wine glass and program to manage a pad and pencil. Through the fest I’ve also benefitted from Sake, Scotch and even cheese pairing classes that Fisher offers from a wide variety of educators. 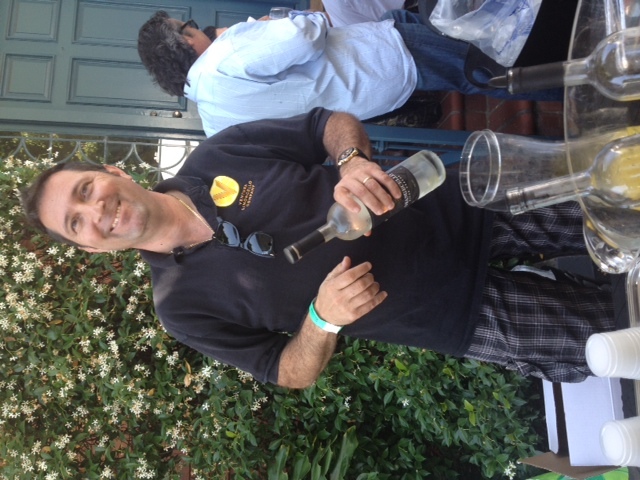 The first time I had Ventura Limoncello, Herzog Cellars, Roxo Port, and wines from Ventura County was at the fest. 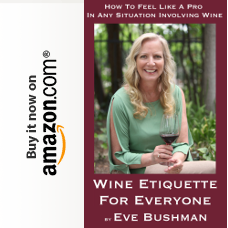 I have fond memories of meeting friends from both Santa Clarita and Los Angeles, as well as people-watching a new generation of wine friendly people. www.BondBars.com had a homemade bark made from Belgian chocolate, not overly sweet and perfect for my palate. From www.CieloFarms.com, we enjoyed their Woodstock Collection 2012 Purple Haze and 2011 Anthem red blend. It was nice to find www.CaseyFlatRanch.com after discovering them earlier this year at Family Winemakers. I enjoyed their 2013 estate Sauvignon Blanc, Rose and Viognier wines while my husband got his first taste of their 2010 Estate red blend of Cabernet Sauvignon, Syrah, Cabernet Franc and Mourvedre. I spied sommelier Adem Sash of Del Frisco’s Grille leading a pairing seminar to a nice crowd of press and wine tasters. I took the “Nut Tasting Tour” cleverly offered by www.CrazyGoNutsWalnuts.com and learned that I liked walnuts flavored with orange almost as much as the ones with Parmesan. The very first display from the Van Ness entrance was from uber-popular www.CupcakeVineyards.com. I stopped long enough for a splash of refreshing prosecco. 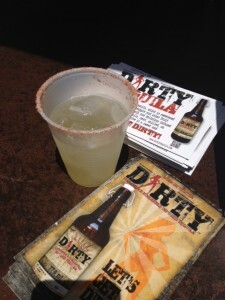 Tried something new at www.DirtyTequila.com: a Dirty Margarita made with their cinnamon and pineapple infused tequila. Loved it. www.ReyesWinery.com was there with attentive crowds in both the VIP lounge and at a pouring table sharing their award-winning wines. Though the “chocolate man” has melted at the www.EOSChocolates.com table, the samples did not. Very nice chocolates with flavors ranging from orange to ginger to crushed nuts to pepper. 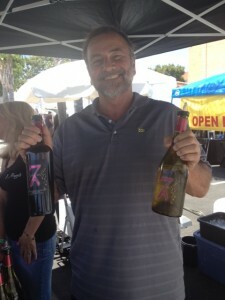 Greg Martin, winemaker and owner of www.SevenAngelsCellars.com in Paso Robles was very interesting. 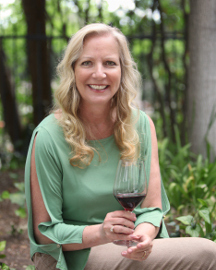 His seven kids, angels at one point, were the namesake of the winery, and he made well over 7 wines that we enjoyed: 2010 Petite Sirah, 2011 Kindred red blend, 2011 Grace red blend, 2011 Confession red blend, and several whites including a 2012 Grenache Blanc. Will definitely be watching this winery. Loved all of the blends, again, in the www.JadaVineyard.com lineup: 2010 Malstria, 2010 XCV, 2010 Jersey Girl, 2010 Jack of Hearts and 201 Hell’s Kitchen. Every time I get to try www.VenturaLimoncello.com I’m a happy girl. Owner James Carling also served up a cocktail with vodka, sparkling water and ice, and my favorite Orangecello. Tasted a few wines from www.BEvineyards.com: 2009 Merlot and 2009 Reserve Cabernet Sauvignon while chatting up with www.LAWineFest.com founder Joel Fisher and his right arm/daughter Sara Fisher Chapin. Picked up a copy of Len Napolitano’s book, “Nose, Legs and Body” for review – looks like it’s perfect for wine 101ers! Had a surprise from Temecula Valley: www.LeonessCellars.com impressed me with their lineup that included a 2011 Grenache, 2010 Meritage of Merlot, Cabernet Franc, Cabernet Sauvignon and Petite Verdot, 2011 Syrah and Port. Also from www.TemeculaWines.org, I found both a 2011 Lorimar blend of Cabernet Franc, Syrah and Mourvedre, and 2011 Hart Syrah. I gave singer Nicki Minaj’s MYX fusion drinks a shot and thought the coconut would pair quite nicely with a little sparkling water…and a bikini. www.RoxoCellars.com served up several of their yummy Paso Robles’ ports: 2009 Paso Mélange, 2009 Ruby Tradicional and 2008 Magia Preta. The spiced up nuts from www.SanteNuts.com went well with all of the wine, beer and spirits. 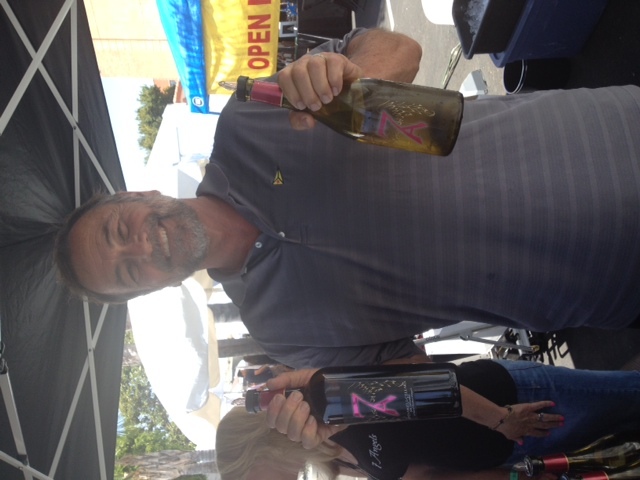 Both our local winemakers, Nate Hasper and Steve Lemley, of www.PulchellaWinery.com, were on hand for the first time sharing their Paso wines at the fest. www.ShortMountainDistillery.com wowed me with their aptly named “Shine” version of Tennessee Moonshine. Gotta love this tagline, “KOOKSOONDANG puts human beings on the front burner before brewing wine” and a lineup that included Grapefruit Rice Wine (I was told that the rice wines are made in Korea and not allowed to be called Sake), Raspberry Rice Wine and Plum Wine. Check them out at www.BeksejuUSA.com or in your local Korean market. At www.JVSimports.com I enjoyed two single malts: the very smooth and nutty Tamdu and the richly-peated Smokehead. The very large www.StellaArtois.com tent did a brisk business. The lovely ladies clad in red served up several beers, including a hard cider, in their appropriate glassware. The guests really dug getting a full glass, and being able to take the glasses home.